At the November Strut monthly meeting we had a talk “From Comet to Tiger” by new strut member Tony Berryman. Tony has been testing Tony P’s Tiger and flies the Tigers for Duxford giving rides. He has experience in many other machines and has just retired from BA after many years of service with them. He is now looking forward to a retirement flying the planes he wants to. With 47 years and 28,000 hours of flying he has had plenty of interesting experiences over that time. Tony started off with how as a child he got interested in flying. He told an amazing story of an uncle in the RAF during the Second World War who, after shooting down a German bomber, landed next to it, flipping his fighter on to its back. Trapped in the aircraft he was rescued by the German crew he had just shot down! Tony has an ambition to fly all of the aircraft types in his uncle’s logbook, and is making progress on that. Tony recounted a number of incidents from his career, both as a commercial pilot and GA instructor. In the detail and the lessons learned I was reminded of Ernest K. Gann’s book, ‘Fate is the Hunter‘. It is immensely valuable to hear compelling and honest accounts of problems confronted in the air, from the people who have actually dealt with them. Speaking for myself as a low hours hobby flyer, I am only too aware that I am sharing the air with much more experienced and knowledgeable pilots. Understanding something of the airmanship that has allowed them to accrue that experience may just tip the balance in my favour one challenging day. A final note: it was enlightening to discover how many Strut members have a background in commercial flying. 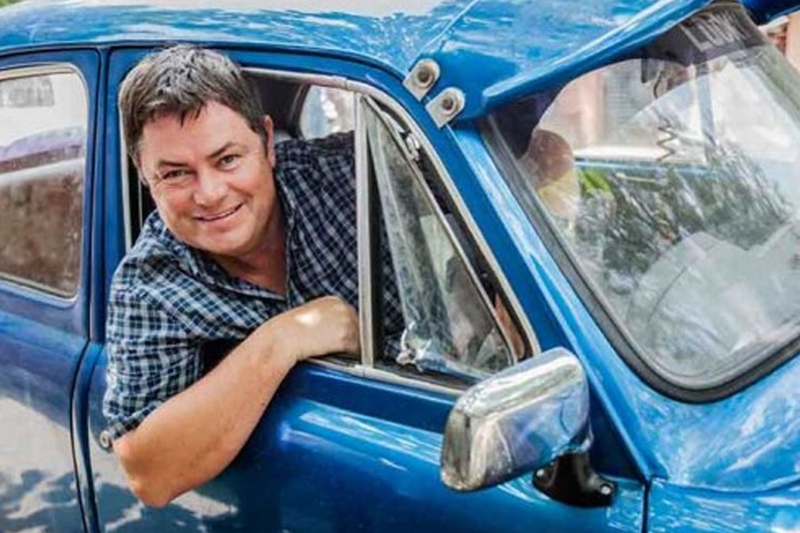 Being an engineer I do have a penchant for technical TV programmes, one such example is Wheeler Dealers. A few weeks ago I came across a spin off show called Wheeler Dealers – Trading Up. The premise of this show if you haven’t seen it, is that the presenter Mike, a car dealer starts off with a fund of money and then navigates around the international car market looking to buy motors and sell them on, with the hope of making a profit. With that profit, Mike then invests in another car repeat the cycle with the hope he will have enough money to buy a target vehicle. Well while having a quiet day at an airport somewhere in Europe I got thinking… would this concept work in the aircraft world ? By that starting off with a small fund to invest in an aircraft and then trading up to a better one and on goes the cycle. If it was possible then the next questions would be, what would be my starting fund and what would the first aircraft be? I think there is some lessons in the TV programme that work well in the aviation work such as the fact that moving aircraft between countries can add value or desirability. Equally, the programme concept does have some issues in our area of interest such as the availability of an aircraft type as the pool is much smaller than the car market. Finally the regulatory impact on the aviation market does add complexity and cost to international transactions to a level above the automotive world. Is aviation trading up possible? What should be the kick off budget? Where would you buy it? How would you move it on? I think we need to start with a budget that keeps us in affordable flying so would propose something between £5-10K. I have chewed over the idea and a bit of an internet search and have a proposal to kick this off. My ‘pick’ is an Avid Flyer. The below aircraft might need a little TLC but could be done on a budget. I know some of the Southern Strut has experience in the aircraft type so I am sure they will provide appropriate support and a critical eye to my suggestion. Also this aircraft does have some affection in the UK and there should be a bit of margin in it. We are about to start the engine build but before that and before winter came we were trying to get all the wood surfaces coated with resin and painted but we realised that we needed an aluminium cover made to cover the front fuel tank as we needed the fixing positions sorted before we painted it. So we have been heavy into sheet aluminium construction see pictures. The vintage aircraft club had a visit to the underground control room at Uxbridge about a week ago. I took a friend Brian Mann (an ex PFA member who had been a DH apprentice and had worked for Boeing, Lear, DH Canada, Miles, Beagle etc) with me and I can thoroughly recommend it. There is a small museum next to the bunker and the visit down the bunker is about an hour. They had a 7a Creed teleprinter there on display which took my attention for a few minutes as I did my apprenticeship at the Creed factory in Hollingbury (where ASDA is now) and during my stay got to refurbish the teleprinters from their museum which had been put into store when they moved from Croydon to Brighton just before I joined them. Air to Ground Radio Operator’s Course (Radio Operator’s Certificate of Competence) on the 15th and 16th of December 2018 at Popham Airfield. This is a two day course. Details of the course can be found here. Working with Aluminium on the 12th or 13th of January 2019 at Turweston Aerodrome. This is a one day course. Details of the course can be found here. Wooden Aircraft Course on the 13th of March 2019. This is a one day course. Details of the course can be found here. To book, call on 01280 846 786. This one is the Blackfly Personal Flyer, and the company behind it, Opener, claim that you won’t even need a licence to fly it! Check out their website at opener.aero for details and some videos of the prototype being piloted. Anyone heard of something similar being developed, perhaps as an SSDR, in the UK? Not sure that this particular design would qualify (the power-off stall would be dramatic – it has a BRS), but something like it might. Maybe if the wings rotated forward in flight? Christmas Meal: Our Xmas dinner is at the Tollgate in Bramber for 7.30pm on Wednesday 5th December 2018. Post code for satnav is BN44 3WE. You should have booked with Tony if you are planning to come. The food is a carvery so you pick on the night. Advertisements appearing on this page are supplied by a third party and we have no control over them.